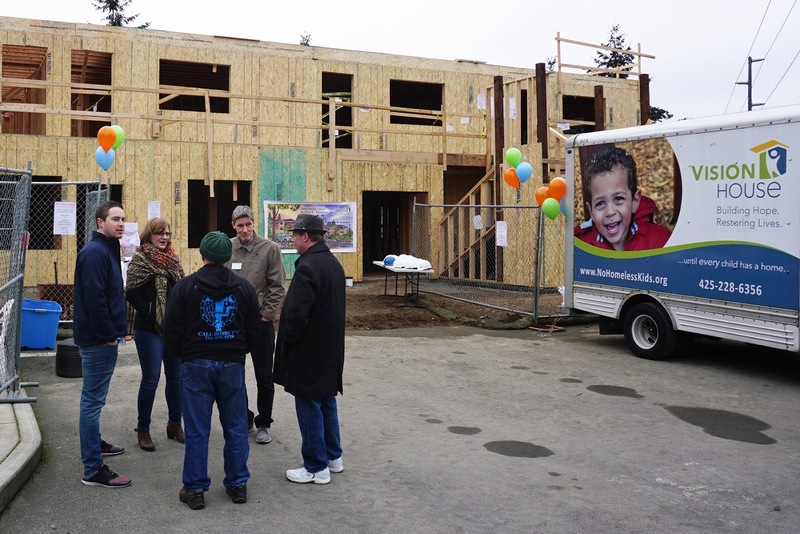 Vision House first broke ground in 2010 for Jacob's Well in Shoreline's Ballinger neighborhood to create housing for homeless families. 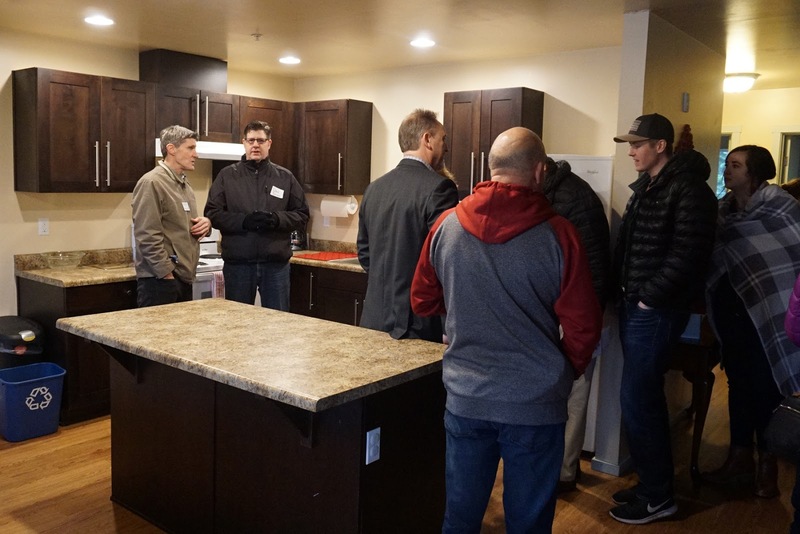 The first families moved into the 12 unit building in 2014. With the help of 3000 individuals, 200 businesses, 70 churches, 30 community groups, and 20 foundations, the building, community center, counseling offices, and certified child care center were completed debt-free. 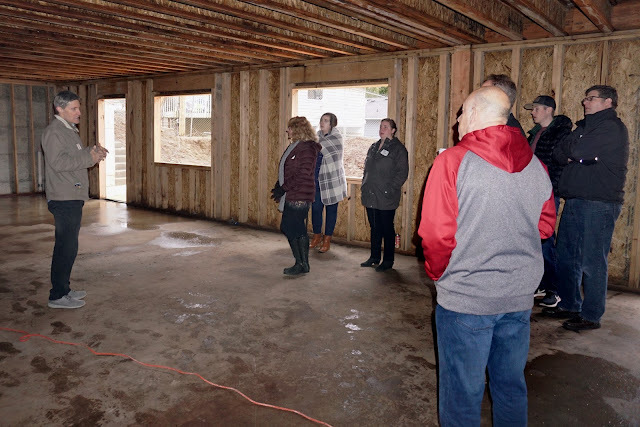 Now they are more than half-way through a second building, which will add an additional 10 apartments, an expanded child care center for babies to age 5, and a community center. 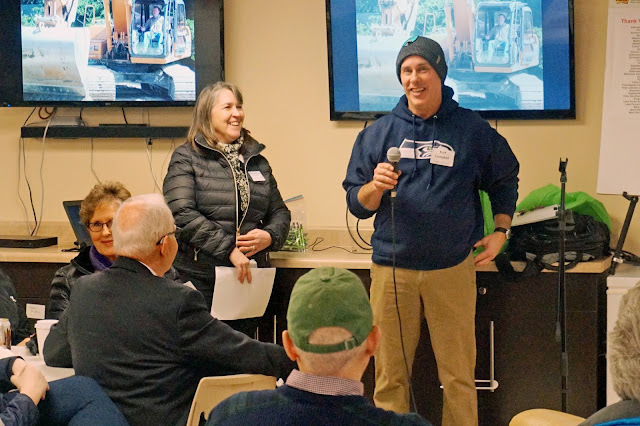 On Sunday, January 27, 2019 they held a Kick-Off Celebration and Fundraiser for the partners and donors, to kick off the final push to raise $900,000 to complete the project. Churches, businesses and volunteers who helped with the first building were honored. Attendees toured the building under construction and an apartment and the community center in the first building. 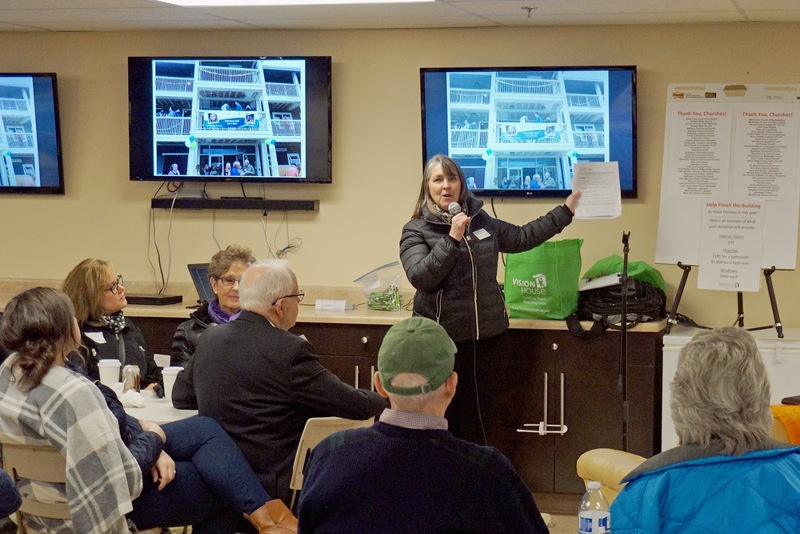 Melissa Gehrig, Vision House Executive Director, talked about ways to get involved, such as Adopt-a-Room to help furnish the apartments, as well as financial support to help raise the final $900,000 to finish the building. 110 people attended the event and donated over $23,000 on the spot! Development Coordinator Mary Burton said that "Some people took the information home, so we expect more donations will be coming in." Vision House is a non-profit providing transitional housing, child care and support services for families experiencing homelessness to assist them in rebuilding their lives and achieving self-sufficiency. In 2018, of the families that moved on from Vision House, 96% transitioned successfully to permanent housing. The agency owns and operates 36 units of housing and two child care facilities in Shoreline and Renton. When the second building in Shoreline is complete, Vision House will have a total of 46 apartments for homeless families. If you wish to donate or volunteer there is information on the website.